What a great day of volunteering at the LA Regional Food Bank in Commerce! 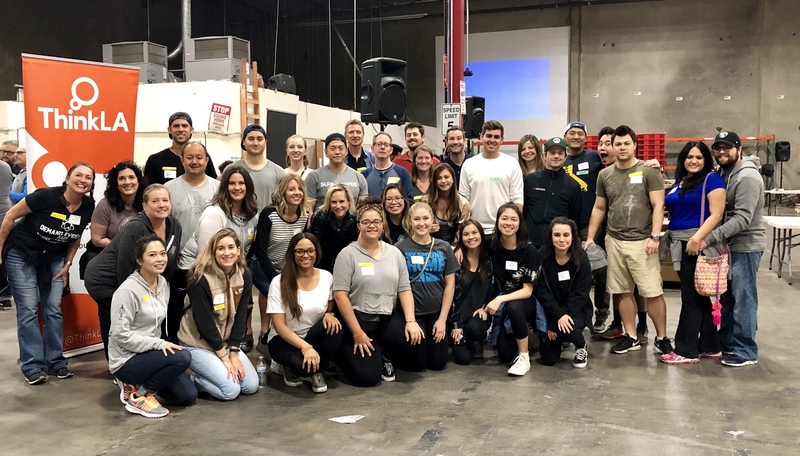 With 50+ ThinkLA and AMA-Los Angeles volunteers, we sorted and folded over 5,000 boxes - enough boxes to store food for 5,936 people in the LA area! Many thanks to Supa Coffee for providing the morning energy, and to Vox DJ's (DJ Hudd!!) for keeping the party going while we worked! 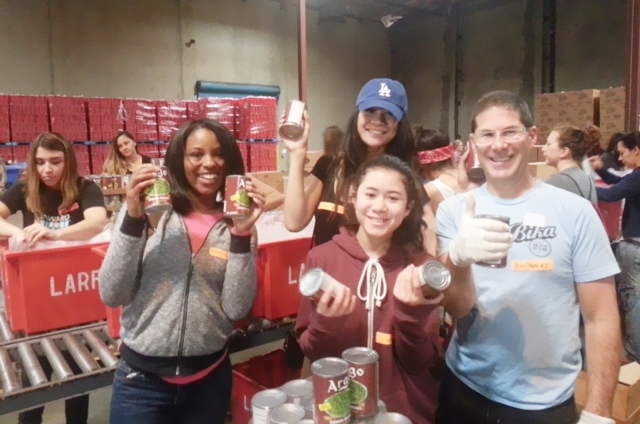 On March 21st, over 75 ThinkLA volunteers from the LA Ad industry joined forces and volunteered their time at the LA Regional Food Bank. 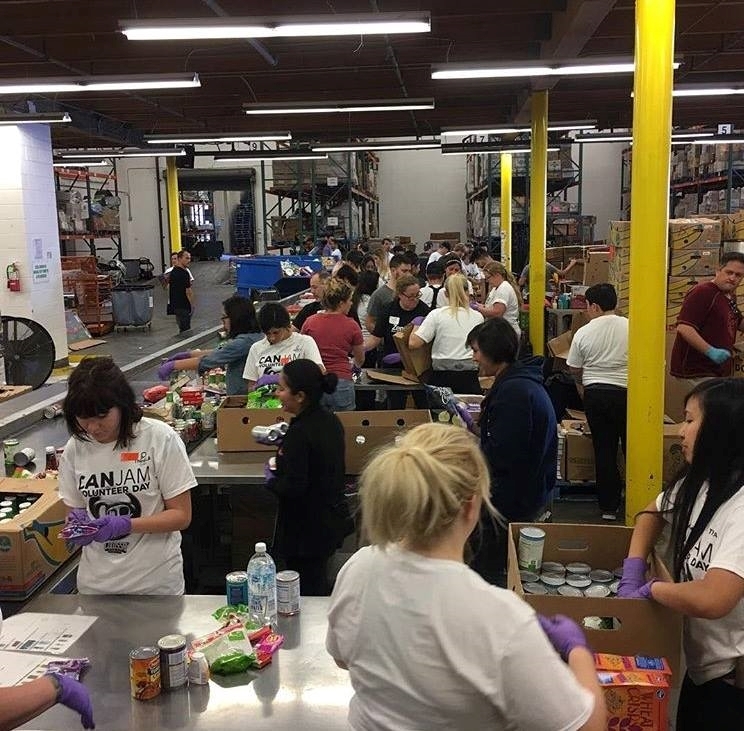 We helped create 4,400 nourishing food packs consisting of cereal, peanut butter, canned foods and juices that will go to senior care services all around Los Angeles. Special thanks to Amazebowls for serving up delicious acai bowls to the volunteers and to Onward Search, the DJ sponsor, for bringing in 10+ volunteers and for the awesome DJ that kept us moving: Nick Samias. Our next Can Jam is set for mid-November. Check our Events Page for updates. 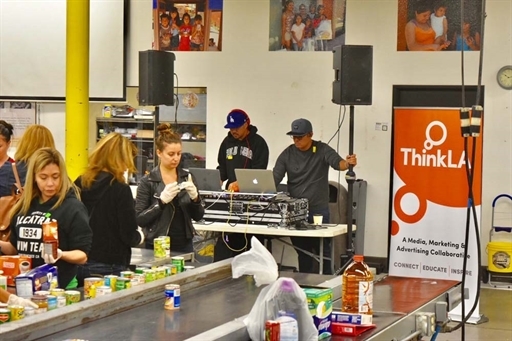 On 11/15, we gave back to the city we love as we jammed out to tunes by Grooveshark and sorted canned goods at the Los Angeles Food Bank. Thank you to all of our wonderful volunteers and sponsors! The Mission of the Los Angeles Regional Food Bank is to Mobilize Resources to Fight Hunger in Our Community. Their vision is that no one goes hungry in Los Angeles County. To fulfill this, they source, acquire and distribute food, and other products to needy people with the help of partnering agencies and Food Bank programs. They also conduct hunger education and awareness campaigns and advocate for public policies that alleviate hunger.